Shiny finish and lots of style. 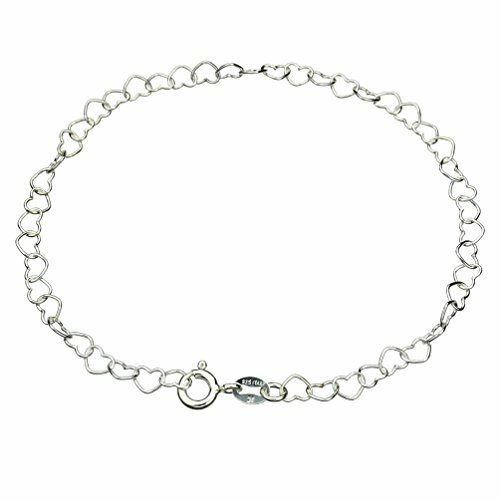 Beautiful, heart links anklet can also hold charms with the open link style. Each heart link, created from round wire, is approx 5mm x 4mm and is made by a leading Italian manufacturer. The solid sterling silver chain is marked with 925 and ITALY and the clasp is marked 925 so you know that they are top quality. Single strand, length is from loop end to clasp. Chain is nickel free. Gift box or pouch included, color or style may vary.